Have tickets to a show at the Bing Crosby Theater? Stay with us and get discounted rates! Please call the hotel directly to book these special rates. Must present tickets or ticket stubs upon check-in. Subject to availability. These rates not available on Blackout Dates. Not valid with any other offers or discounts. Not available through 3rd party bookings. Riverfront Park, Spokane Falls, River Park Square Mall featuring the Apple Store, North Face, AMC Theaters and more; across the street from the historic Bing Crosby Theater, the Fox Theater and the Knitting Factory Concert House. Enjoy downtown Spokane's finest restaurants and coffee houses and walk to the Spokane Arena and Spokane Convention Center. 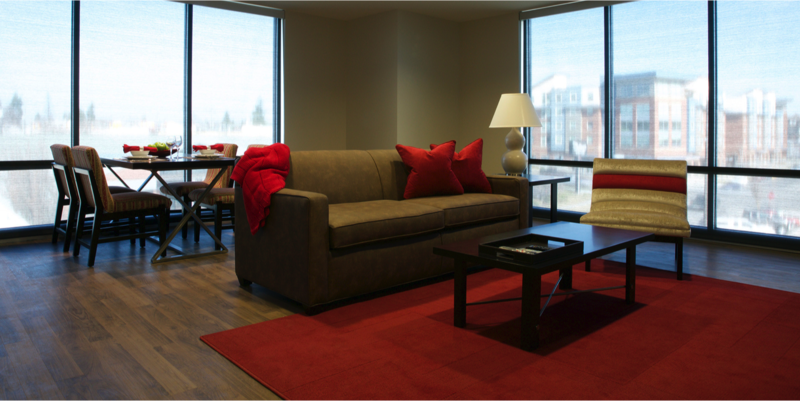 Boutique one bedroom apartments that offer all contemporary furnishings and housewares providing home-away-from-home accommodations! Located across from the Gonzaga campus, near the University District, and walking distance to numerous restaurants, coffee shops, bars, and Spokane highlights! Inquire now for immediate move-in. 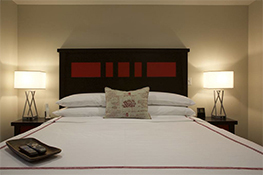 Hotel Ruby Ponderay - great service, comfort, style and value. Relax in one of the brand new hot tubs and indoor swimming pool! Stay active in our 24 hour fitness room or borrow one of our bikes to cruise the area with! Enjoy the complimentary continental breakfast to get you started. Pet friendly, 100% non-smoking, with free Wi-Fi, and meeting space available for out of town business guests.